101 condominiums in Key Biscayne, Florida, offer a boutique-scaled residence opportunity for the discerning purchaser in search of intimacy of environment, richness of amenities, and secluded island living. 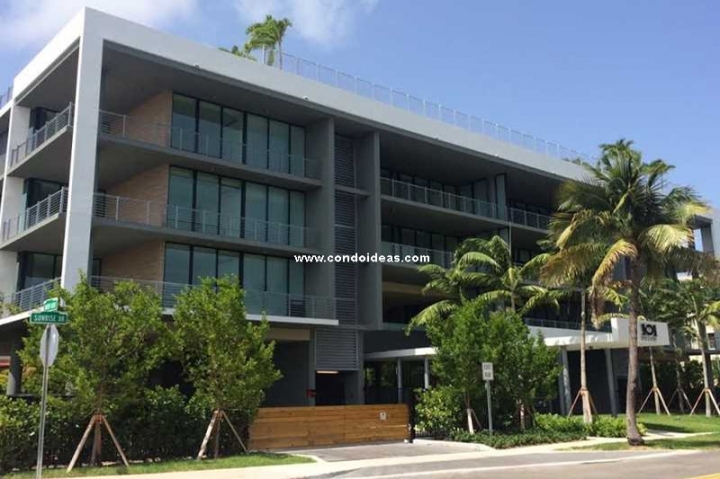 This artful development at 101 Sunrise Drive in Key Biscayne is the product of developers R.E.A.C., led by South American natives and now Key Biscayne residents Eric Soulavy and Oscar Segall. 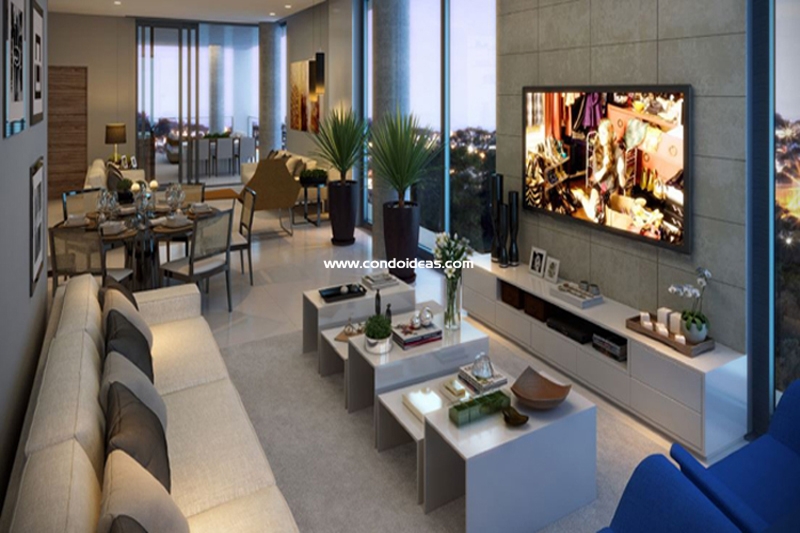 They have engaged the services of local architect Gabriel Lopez who has crafted a tropical modern design that incorporates Far Eastern elegance with high-tech sensibility. 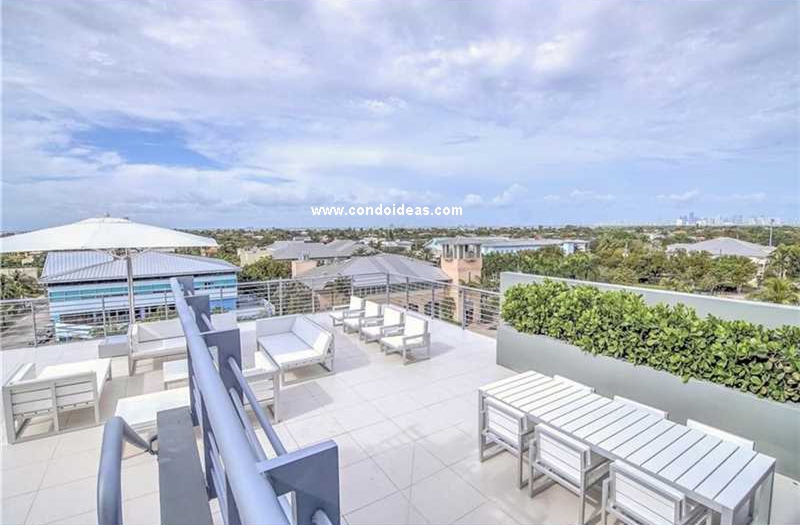 Only eleven units comprise this five-floor low-rise structure called 101 Key biscayne. Floor plan choices include two- and three-bedroom suites as well as a three-bedroom suite with self-defined den with bath. Top grade appointments feature Ornare kitchens fitted with Miele dishwashers and Sub-Zero appliances. 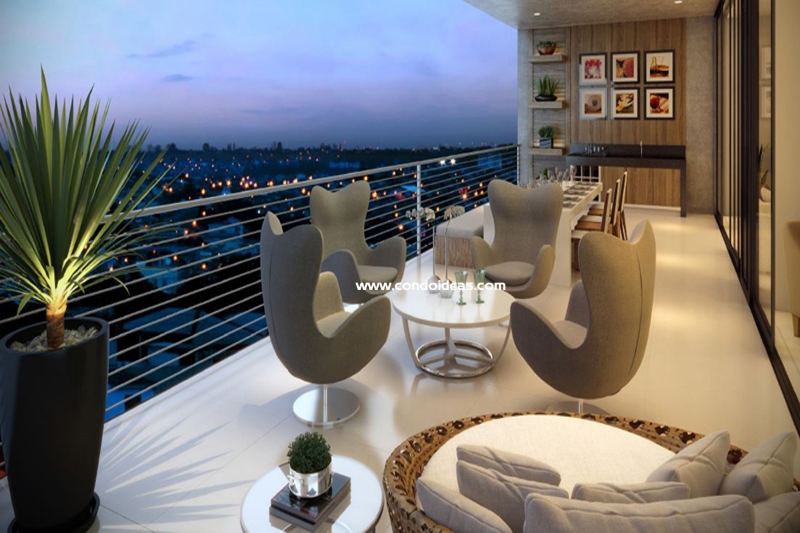 The openness of design is highlighted by floor-to-ceiling impact-resistant windows and doors. Living spaces open onto expansive outdoor terraces ranging from 335 to 550 square feet and include outdoor kitchen facilities. Design services are available for your decorating needs. 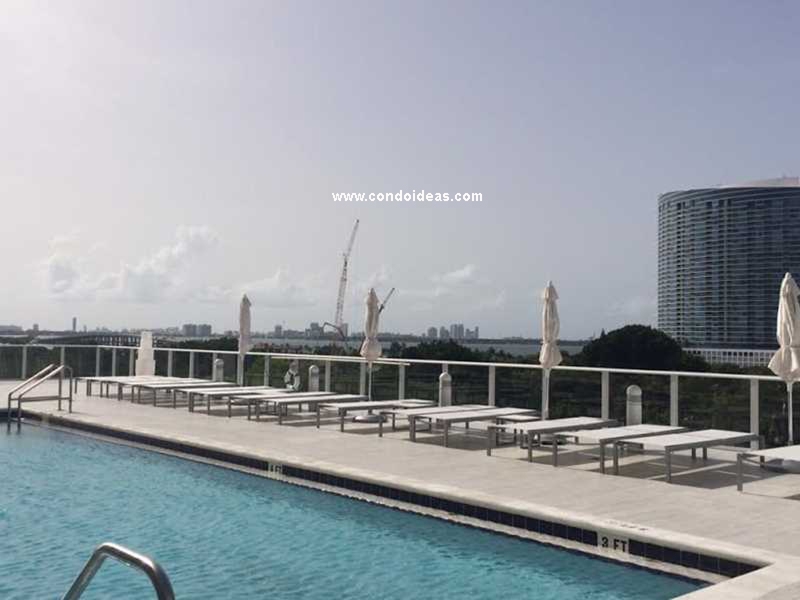 Despite the intimate appeal of the restricted number of units, 101 Key Biscayne offers superb amenities. A rooftop lap pool spans the length of the structure, complemented by a sunset deck relaxation area. 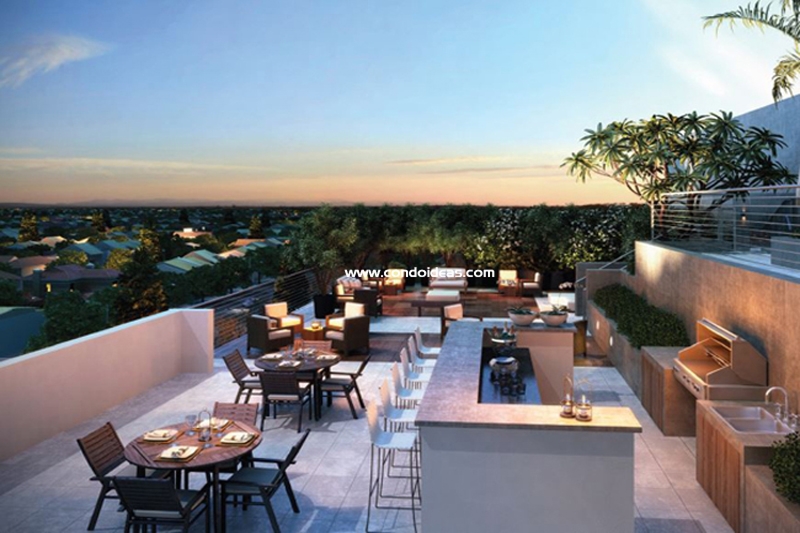 On a parallel, separate level, an outdoor rooftop club and barbeque facility invite outdoor dining with larger groups and neighbors. 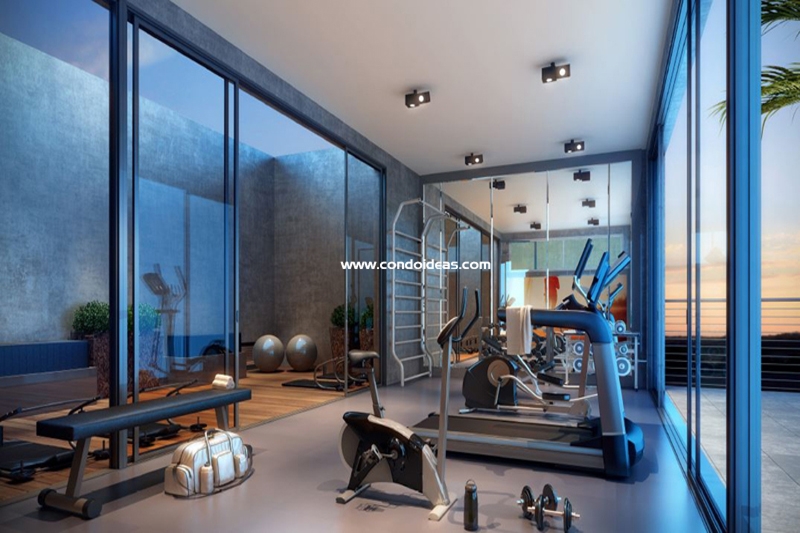 Active workouts are accommodated by a well-equipped workout area. A Yoga center will provide opportunity for more mindful exercises. Residence at 101 key biscayne also ensures secured beach access. Each unit also includes two assigned parking spaces as well as plug-ins for electric carts and vehicles. The Village of Key Biscayne, with just over 10,000 inhabitants, next to Miami provides a sense of tropical seclusion near one of the world’s most vibrant and cosmopolitan urban destinations. Miami lies just over the Rickenbacker Causeway, built in 1947. Once site of the country’s largest coconut plantation, the village now offers the Bill Baggs Cape Florida State Park, the Tennis Center at Crandon Park, home to the Sony Open tennis tournament, and a world-class golf course, not to mention easy access to a host of water sports. The island, with its own elementary and middle schools, is known to be family-friendly. If quality of environment, intimate-scale architecture and amenity-rich island living are high on your list, consider 101 Sunrise Drive on Key Biscayne. 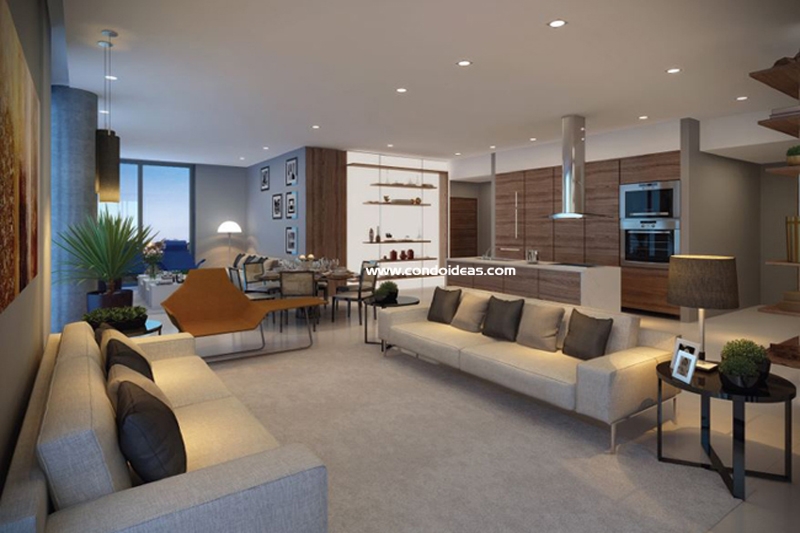 ON the island of Key Biscayne, you should also check out a gorgeous project called Oceana.